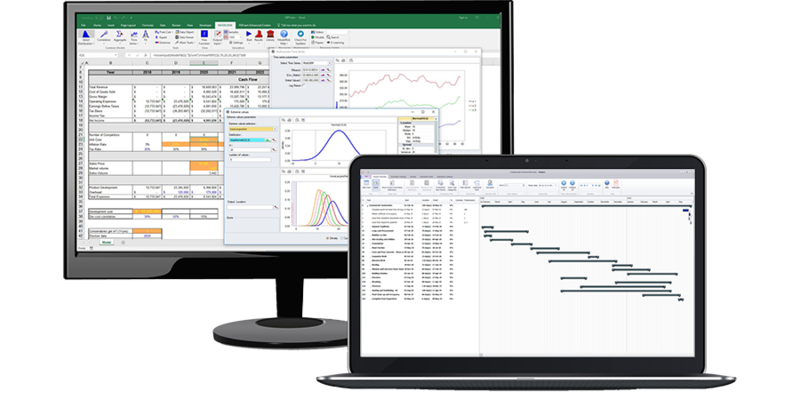 ModelRisk includes conversion tools for the two most common competing risk analysis Excel add-ins: @RISK from Palisade Corporation; and Crystal Ball from Oracle. There are some differences in how @RISK and Crystal Ball behave in comparison with ModelRisk. Although the converters will handle most models, we recommend that you try running the original models and converted models and compare the results to be sure the conversion has been performed correctly. Vose Software offers a fee-paying conversion service for models built in any Excel Monte Carlo add-in you use. We can also convert some Monte Carlo models built in other modeling environments. The service provides a complete conversion of your model, modifying its structure (upon request) where it can be made more efficient or clearer, and testing and documenting the results against the original application. We will explain the reasons for any numerical differences should they occur between the results of the original and converted models. Our consultants can also provide an auditing service at the same time, checking logic, appropriate use of distributions, correlation, etc. and suggesting improvements to your model that may be possible with the extra capabilities that ModelRisk offers. Estimates can be provided on request. Please note that you may need to send a confidentiality agreement from your company in advance of providing a model and, in any event, you should take steps to remove any commercially confidential information from the model.